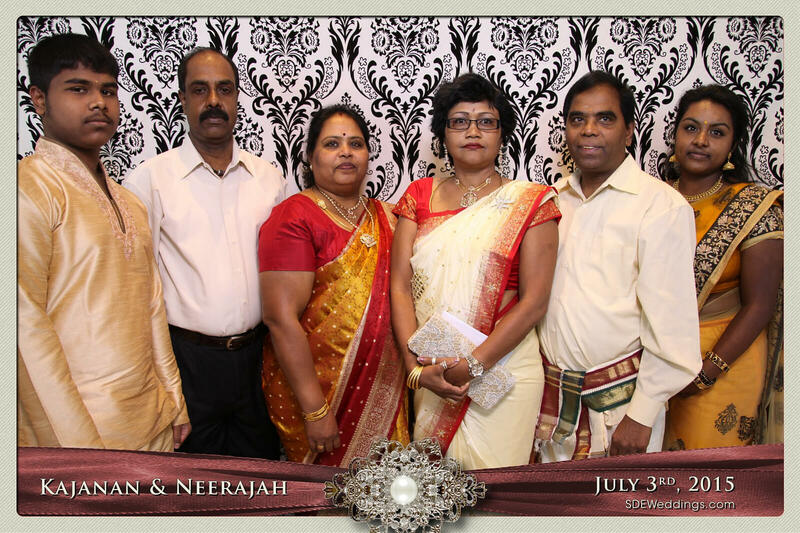 As the glistening lights of the crystal chandeliers illuminated the grand hall of Scarborough Convention Centre, guests of Kajanan and Neerajah were absorbed in the romantic atmosphere of the glorious wedding day celebration taken place on July 3rd, 2015—an event like no other. 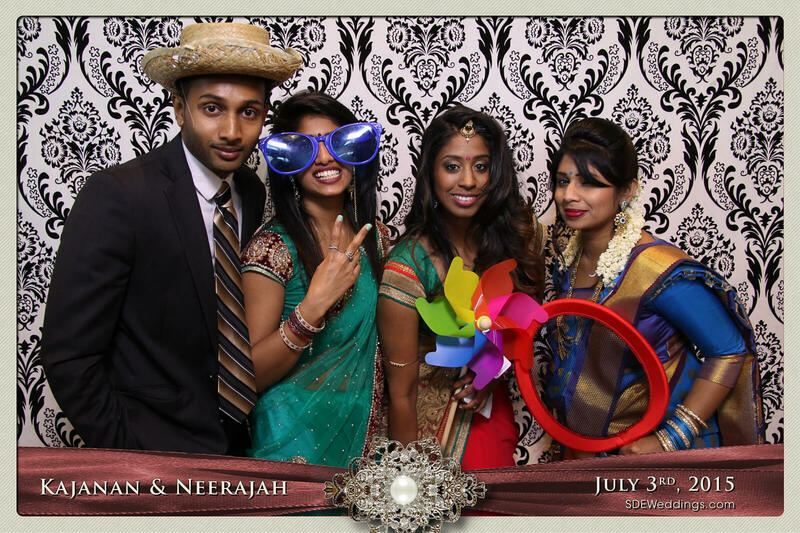 For such a special day, our photo booth staff at SDE Weddings, Toronto’s premier wedding videography, cinematography and photo booth company, were more than happy to be there and provide our very best service. 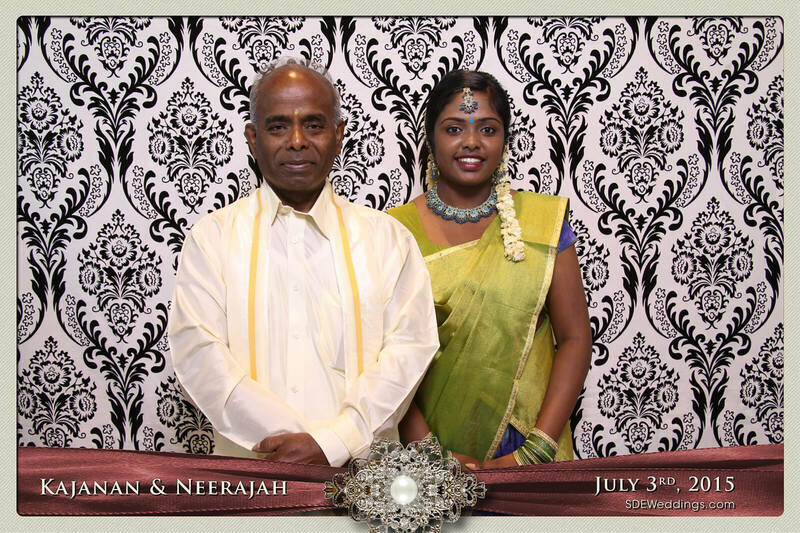 The modern vintage backdrop and exquisite print layout designed by our very own staff at SDE Weddings, notably complimented the traditional Hindu wedding attire—a very elegant and beautiful garment. 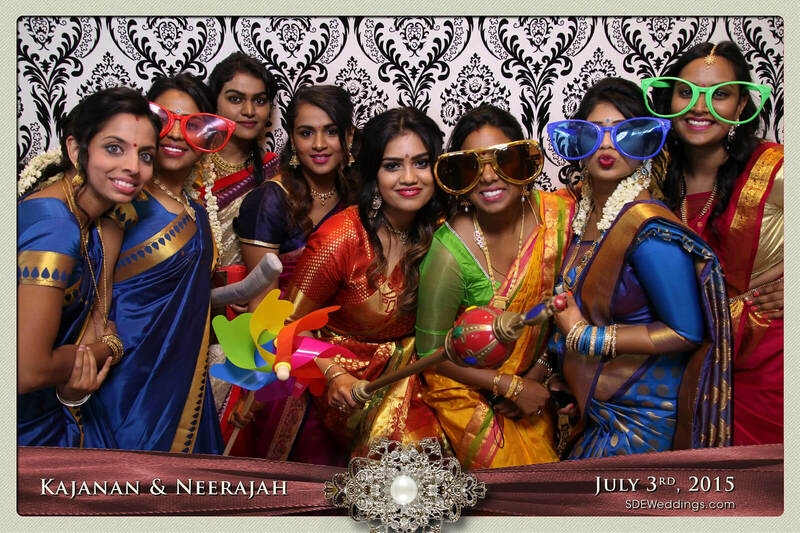 In addition, our playful props proved to be wonderful way to unite friends and family for a good laugh! 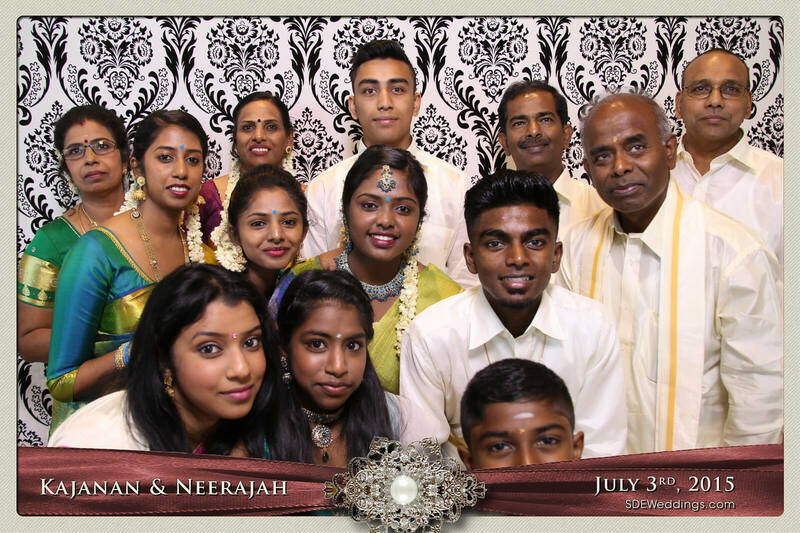 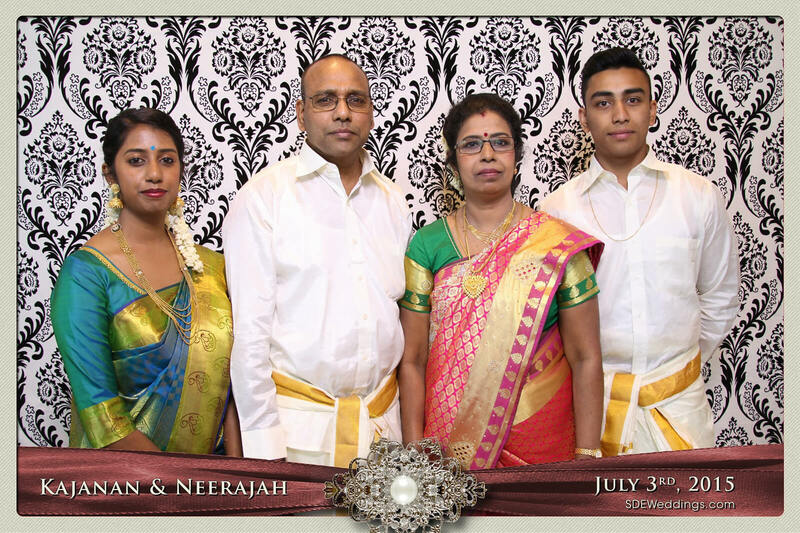 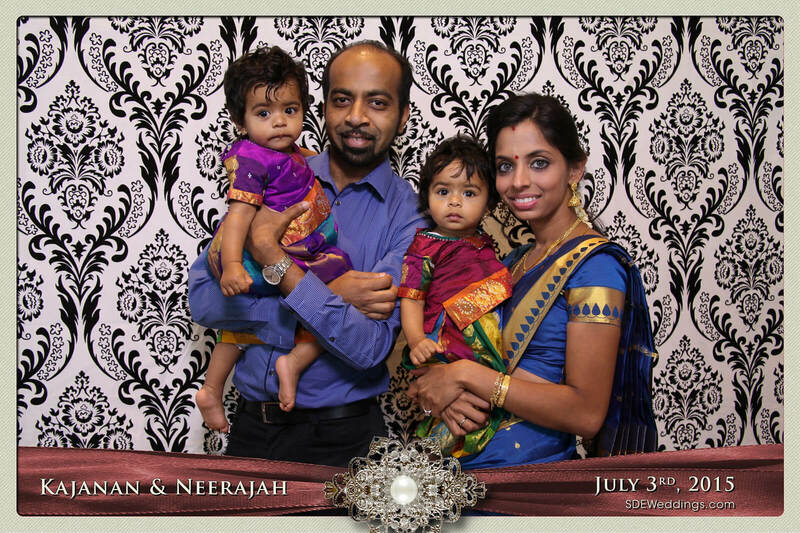 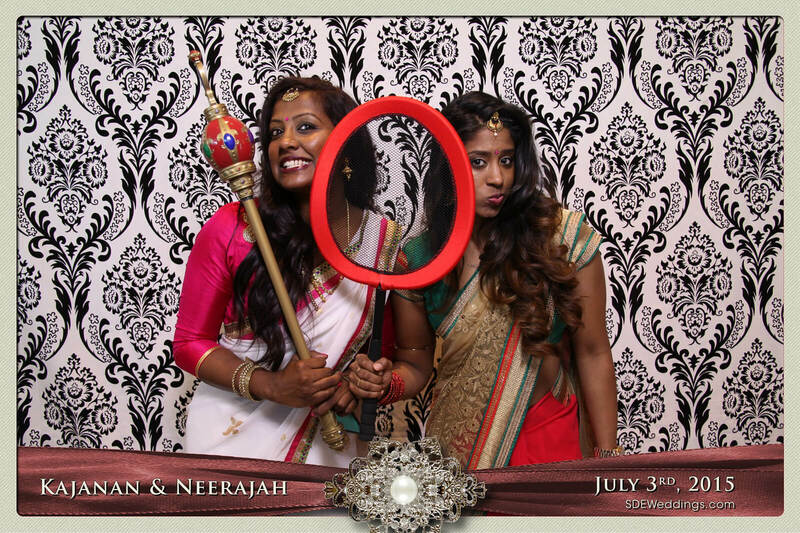 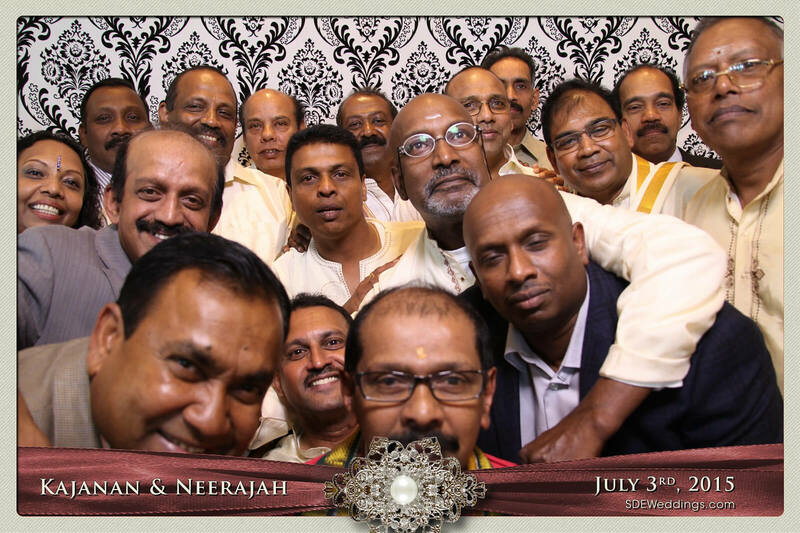 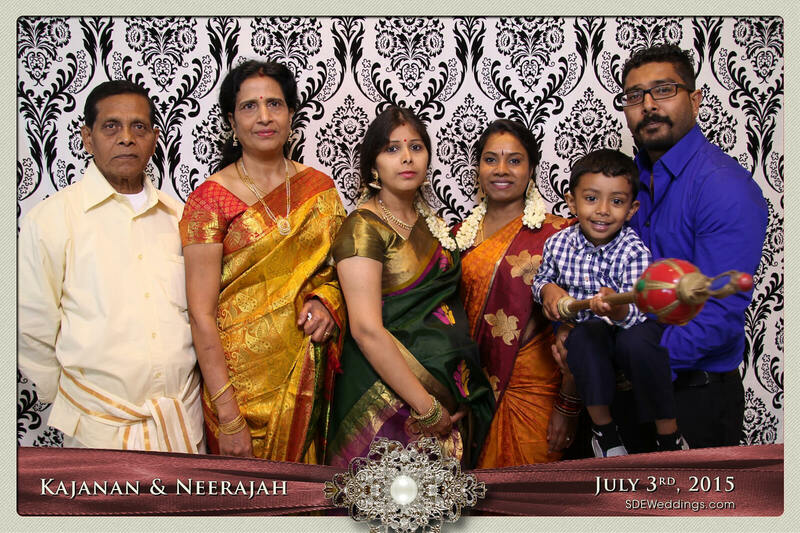 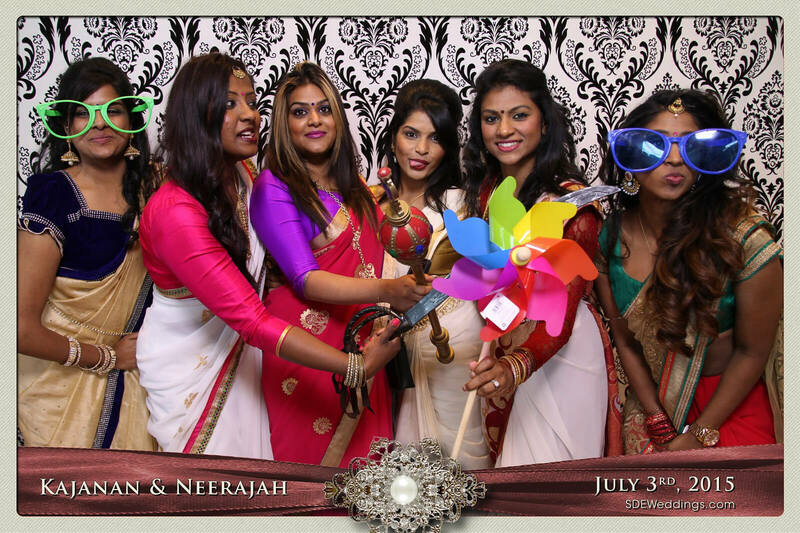 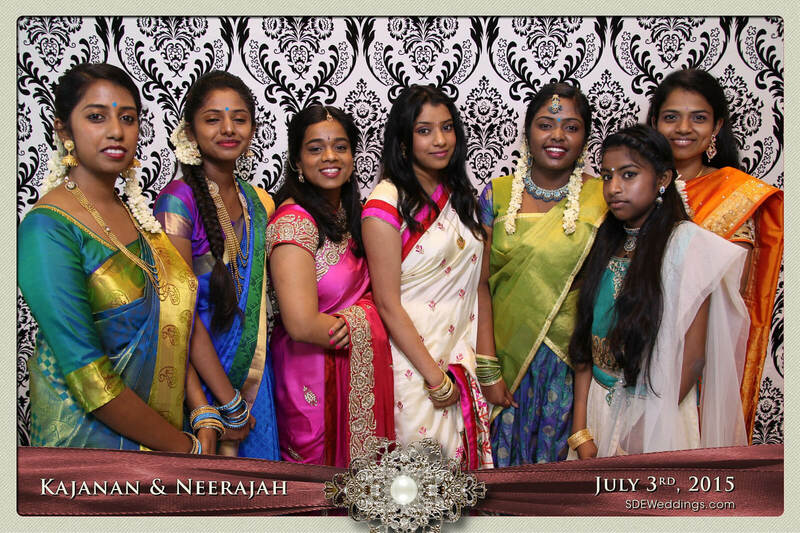 Check out some of our treasured snapshots from Kajanan and Neerajah’s memorable day down below!